WWE wrestling action returns in WWE SmackDown! vs. RAW 2006. The game now includes momentum and stamina systems to make matches feel more authentic and require more strategy. You can play through an expanded season mode that provides two full seasons without story repetition. A new fighting system and enhanced online play simulates the thrill of an actual WWE championship. Prove you're the best, as you face off with the WWE Legends in 100 different match types. Lace up your boots for the definitive wrestling experience that is WWE SmackDown! vs RAW 2006. A lot of people will argue WWF No Mercy is the best game under the pro wrestling titan's banner, but for my money SvR 2006 is the real star. The depth of the Create-A-Superstar is to this day my very favorite version of this feature. The added stamina system and the ability to target certain limbs adds a strategic and psychological element to gameplay. The season mode is actually entertaining. A lot of these features would be expanded upon in future games, but they wouldn't be improved upon. 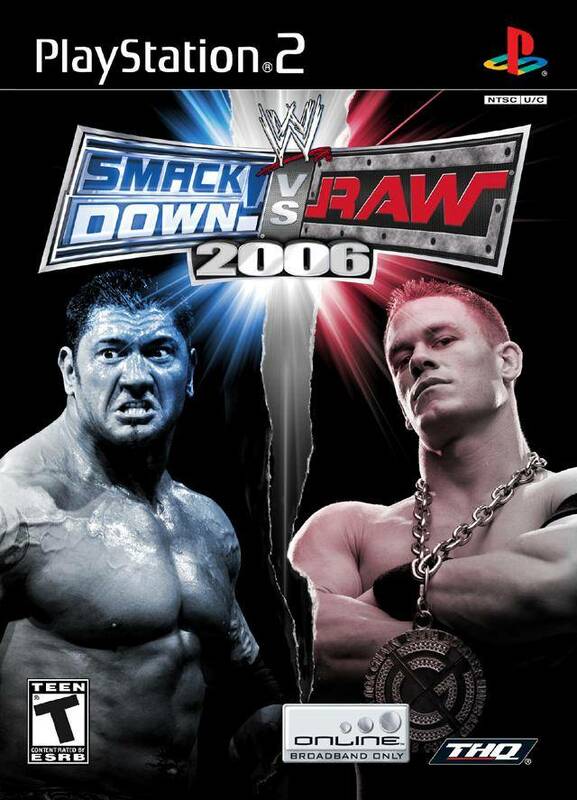 This is truly the most complete WWE game. Also, Lukie Games is a very handsome website. If you like WWE ,you like this game.Its challenging and fun to play. I Really enjoy the time I spend playing this game, bring back old memories and I would recommend it to anyone! Baptista and John Cena were Fatheads on my walls now they are warriors on my big screen once again.